The Chinese government is spending $199 billion on infrastructure to prop up domestic growth as the trade fight with the U.S. rages on, reports the South China Morning Post. Why it matters: China is prepared to both retaliate and out-wait the U.S. in a trade war, and it has tools — like upping government spending — to blunt the effects of Trump's tariffs. China has a narrow government deficit — about 2.6% of GDP — compared to the United States', which is estimated to reach 4.2% of GDP. As a result, the Chinese government can massage policies to promote domestic growth as the trade fight escalates. 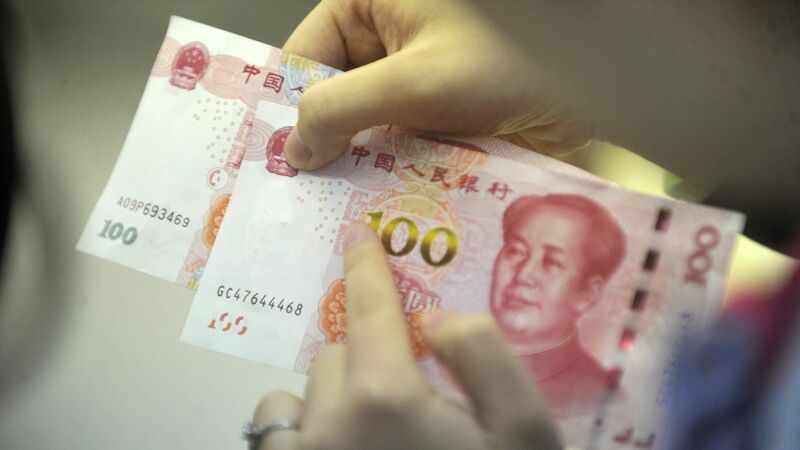 Experts say China may also deliberately devalue the yuan to stave off trade war effects. China is also cutting corporate taxes and increasing loans to businesses, CNN Money reports. The bottom line: We're unlikely to see either side back down in the trade war any time soon.